A program note: just over a year since “Mrs. NERW” underwent her last major surgery, she’s once again in the hospital for a planned follow-up surgery. Thanks in advance for your patience for the next couple of weeks as I try to handle subscription inquiries myself – and please expect a slight delay in shipping on calendars and other products from the Fybush.com Store until we’re back in the swing of things! *In the pantheon of MASSACHUSETTS TV legends, only a handful of Boston TV news anchors have achieved first-name-only immortality. “Jack and Liz,” of course – but before they ever paired up behind the desk at channel 4, there was the anchor team that set the standard. For anyone who watched the news in Boston from the 1970s into the 1990s, there was “Chet and Nat” and then there was everyone else. Even if both Chet Curtis and Natalie Jacobson had long since left WCVB (Channel 5), even if their marriage had come to an end a few years ago, and even if we’d all known for months that Curtis’ health was failing and the day would soon come, the news of his death on Wednesday still prompted a flood of memories and appreciations from across the media landscape. Chet Kukiewicz was born in Amsterdam, New York, attended Ithaca College and began his broadcast career (very briefly) right here in Rochester, but it was quickly clear that he was destined for bigger things. Before he was 30, he’d worked at WTOP-TV (Channel 9) in Washington and at WCBS-TV (Channel 2) in New York. In 1968, he started as a reporter at Boston’s original channel 5, WHDH-TV, and in 1972 he joined most of the WHDH-TV airstaff in moving over to its replacement, WCVB, which put him on the anchor desk at noon with a talented new star, Natalie Jacobson. They married in 1978, had a daughter, Lindsay, in 1981, and by 1982 they’d taken their place at the helm of the 6 and 11 PM “NewsCenter” broadcasts, where they’d reside comfortably at the top of the ratings for almost two decades. Curtis and Jacobson announced their separation and impending divorce in 1999; within a year, Curtis moved to WCVB’s Sunday newscasts and by 2001 he’d left the station entirely, bringing his experience and on-air warmth down the street to New England Cable News, where he became the anchor for the flagship “NewsNight” broadcast. He never formally resigned from NECN, but his on-air appearances dwindled as he became ill with pancreatic cancer. 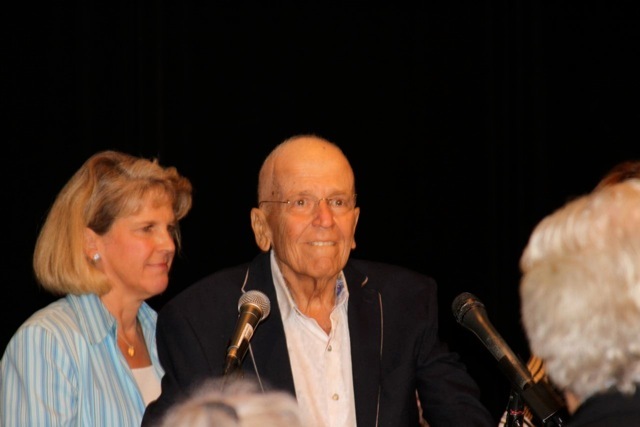 His last public appearance came in the fall of 2013 at the Massachusetts Broadcasters’ Hall of Fame induction, where he received an emotional standing ovation from a crowd of colleagues and admirers moved by his visibly frail state. As news broke Wednesday of Curtis’ death at age 74, his former broadcast homes went wall-to-wall with coverage; WCVB devoted much of its midday and early-evening newscasts to remembrances of its star anchor, as well as an entire special edition of the “Chronicle” magazine show that Curtis had anchored from 1978-1982. 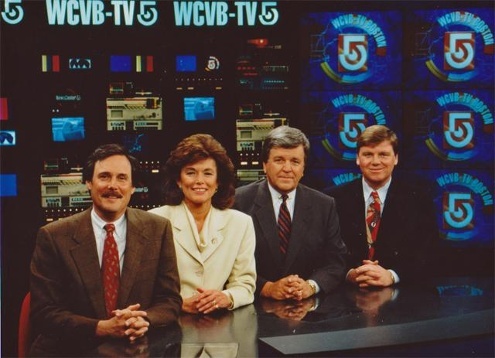 NECN offered extensive coverage – and even WBZ-TV (Channel 4), where “Jack and Liz” long competed against “Chet and Nat,” led its evening newscasts with fond recollections of its former rival. The days when a “Chet and Nat” can so dominate a market are gone now, of course. When Sunbeam blew into town at WHDH-TV (Channel 7) – can it really be more than 20 years ago now? – it brought with it a new model in which flashy graphics and plenty of live shots from the field took precedence over star anchors. Then came the explosion in the number of hours of news and the explosion of news sources that made the old “film at 6 and 11” model an anachronism. For his part, Chet Curtis didn’t want to be a star; he ended his career the same way he began it, as a newsman’s newsman, a solid anchor who was always more substance than flash. But he was, nevertheless, a giant in a time when there were still giants on the local TV news scene, and he’ll be remembered fondly. Then there’s the matter of those call letters: after drawing the desired “will it be rock?” response by parking the WRXP calls on the former WFME, Cumulus applied on Tuesday to swap in the “WNSH” callsign that it had quietly acquired from a small Boston-market AM signal (now WMVX 1570 Beverly) late in 2012. This week’s lead story is yet another one we’d really rather not be writing. The massive job cuts at Clear Channel made their way from rumor to reality on Tuesday, and if the nation’s largest radio company really intended to use the headlines surrounding Inauguration Day in Washington as cover to bury the story of its cutbacks (a rumor to which we never gave complete credence), it didn’t work. The story not only dominated the radio trades all week, it made it into the mainstream media as well, even though the size of the Clear Channel cuts – 1850 jobs worldwide in its radio, outdoor and international divisions, about 9% of its total workforce – paled by comparison with the 30,000 jobs disappearing in the demise of Circuit City and other economic disasters. As painful as the cuts were, especially in markets where longtime station veterans were marched out the door without even the opportunity to say farewell to their colleagues, some of the most dire predictions making the message-board rounds did not come to pass: there was no wholesale replacement of local air talent with national, satellite-delivered formats, no shuttering of local studios – indeed, with the exception of a few targeted cuts to local sports programming in several markets (Syracuse among them, but more notably Detroit and San Diego, where WDFN and KLSD were gutted), the cuts were largely behind the scenes. The cuts at Clear Channel in Rochester left 29-year news veteran Bill Lowe with no opportunity to say goodbye to his longtime listeners on the “Chet and Beth” morning show. Lowe, whose career started in his native Bloomsburg, Pennsylvania at WCNR (930, now WHLM) back in 1960, also spent time in Binghamton (WNBF) and Syracuse (WFBL) before coming to WHAM in 1979. Also out in Rochester were sports anchor Gene Battaglia, traffic guy Barry Vee, as well as several salespeople. In Syracuse, the cuts hit hardest at sports WHEN (620), where Jim “Manchild” Lerch, who was PD and co-host of the afternoon “Bud and the Manchild” show, was let go along with producer Ty Doyle. Post-Standard sports columnist Bud Poliquin is also off the WHEN airwaves, whch are now entirely filled with national sports talk from Fox Sports, Dan Patrick and Jim Rome in a market that has distinctly local passions for its Orangemen. Also cut were Carole Fargo, promotions director at WBBS (104.7 Fulton), and several salespeople. And it wasn’t just Clear Channel making cutbacks in the Empire State: in Buffalo, it was Citadel firing staffers at week’s end. WHTT (104.1) midday man Jim Pastrick, a veteran of Queen City radio, was missing from the “Mix 104” website as we went to press Sunday night, with afternooner Jim Siragusa listed with a noon-7 PM shift, no doubt heavily voicetracked. And we’re hearing two salespeople are gone from the cluster as well. In Rochester, Stephens Media made another morning show cutback – after reducing the “Tony and Dee” show on WRMM (101.3) to just “Tony” when it took the station over last year, Stephens has now cut the “Ace and Marti” show on sister station WFKL (93.3 Fairport) to just “Marti in the Morning,” leaving veteran Rochester jock Marti Casper solo and her former co-host George “Ace” Acevedo, who came to town from California five years ago to work at WFKL’s predecessor, WBBF, out of work. The week’s other big story, beyond the Clear Channel cutbacks, came on the NEW JERSEY shore, where Press Communications pulled the plug last Monday on “G-Rock Radio,” the latest incarnation of the modern rock format that has given WHTG-FM (106.3 Eatontown) a loyal, if not huge, following for several decades. 106.3, and its simulcast down the shore on WBBO (106.5 Bass River Township), are now doing top-40 as “Hit 106.” For the moment, the hits format is running without local jocks, using the “Hits Now” satellite service from Dial Global, and morning host Matt Murray is out, but some of the former G-Rock staff, including PD Terrie Carr, apparently remains on board – indeed, in an open letter posted on the G-Rock website and addressed to organizers of a planned protest at the station’s studios on Saturday, Press CEO Robert McAllan promised that G-Rock jock Matt Knight would soon be back on the air from 3-7 PM weekdays. As for that protest, it drew some 200 listeners to WHTG’s studios in Neptune, some of them bearing signs aimed at Arbitron, a reference to McAllan’s comments that the G-Rock audience had never been properly measured by the ratings firm. In RHODE ISLAND, it wasn’t just Clear Channel doing the cutting: on Friday, Citadel made some deep cuts to its Providence cluster, including WPRO-FM (92.3) night jock Kerry Collins (who’ll be replaced by voicetracking from Ralphie at WBHT in Scranton/Wilkes-Barre), WWLI (105.1) afternoon guy Charlie Jefferds and WWKX (106.3 Woonsocket) APD/afternoon DJ Joey Foxx. As for Clear Channel’s Providence cluster, Tuesday’s cuts claimed more than a half-dozen salespeople, several members of the Paul and Al morning show – Johnny “Skidmarks” Hamblett and sportscaster Steve McDonald, aka “Jim Shorts,” WHJJ “Helen Glover Show” producer Mike Fiske, and WHJJ weekend host Bruce Newbury. It’s not just US broadcasters getting chilled by the current economic climate – it’s happening up in CANADA as well, where Newcap cited “seriously deteriorating credit markets” in announcing last week that it was pulling out of its deal to buy 12 FM stations in northern Ontario from Haliburton Broadcasting Group. 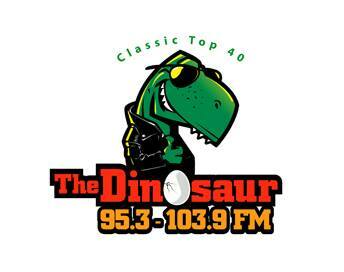 The C$12 million deal would have added “Moose FM” stations everywhere from Huntsville and Bancroft up to North Bay and Timmins and west to Kapuskasing and Hearst to Newcap’s existing holdings in the Sudbury market – and while Newcap says the stations are still “assets we would like to own sometime in the future,” the deal is apparently dead for now. The eyes of the political world are on NEW HAMPSHIRE this week, of course, but so are the eyes of the radio business world in New England – as, yet again, New Jersey’s Nassau Broadcasting Partners L.P. has picked up another radio group in northern New England. In the last couple of months, Nassau has bought clusters from Mariner and WMTW in Maine and then from Tele-Media in New Hampshire, and now Lou Mercatanti’s group is shelling out $5 million for the three Lakes Region stations that are all that remains of the Sconnix Broadcasting empire. At its height in the eighties, Sconnix owned stations from Kansas City to Miami to Boston (WHDH, WBOS and WCOZ at various times), and for a few years it even had a headquarters office (thanks to partner Ted Nixon) right here in NERW’s hometown of Rochester, N.Y. More recently, Sconnix has been operated out of Vienna, Virginia, and all it had left in its portfolio were hot AC WLNH (98.3 Laconia), classic rock WBHG (101.5 Meredith) and news-talk WEMJ (1490 Laconia), which now join Tele-Media’s oldies WLKZ (104.9 Wolfeboro) in Nassau’s new Lakes Region cluster. Some big doings this week in the Capital District of NEW YORK state, especially at the Galaxy stations in and around Albany. Ed Levine pulled the plug on modern rock “K-Rock” at WKRD (93.7 Scotia) Thursday, playing construction noises until 3 PM, when 93.7 flipped to classic country as “The Eagle.” WKRD is also picking up NASCAR race coverage in a bid to siphon at least a bit of audience from perennial market-leading country outlet WGNA (107.7 Albany), though the station’s signal has nowhere near the coverage of WGNA. Au Revoir, CBF: Radio-Canada pulled the plug on Montreal’s 50kw French outlet Thursday night (1/21). 690 is now running a repeating loop in French urging listeners to move to the new FM frequency, 95.1, which signed on last year. CBM on 940 will go silent in March, according to the Montreal Gazette. If you can read French, you’ll find more on CBF at <www.radio-canada.ca>. NERW was in Buffalo on Wednesday for President Clinton’s visit to upstate NEW YORK, and we really enjoyed hearing the local news and talk on co-owned, but competing, WGR (550) and WBEN (930). Our joy was tempered slightly when we picked up the Buffalo News to read that WBEN/WMJQ staffers have decertified their union, which apparently clears the way for more WGR/WBEN shared programming. On a cheerier note, congratulations to WBEN’s Tim Wenger and Susan Rose, proud parents of a baby girl born just hours before the presidential visit. Downstate, the big news is an unusual FM-to-AM move in the Big Apple, as Rocky Allen’s “Showgram” switches from afternoons at WPLJ (95.5) to the morning slot at WABC (770). The mouse hopes Allen’s show will bring some permanence to the morning slot at WABC, which has been one of the least stable spots in New York radio. It’s musical program directors in CONNECTICUT this week. Ed Sabatino moves from WKCI (101.3 Hamden) to the PD chair at WEFX (95.9 Norwalk), while Dave Hill moves up from APD/MD to PD at WMRQ (104.1 Waterbury), replacing Jay Beau Jones, who’s now in Chicago at WUBT (103.5). lately. Steve Silberberg buys again, this time WVFM in Campton, NEW HAMPSHIRE. The 105.7 outlet atop Waterville Valley Ski Area has been simulcasting the oldies from WLKZ (104.9 Wolfeboro). 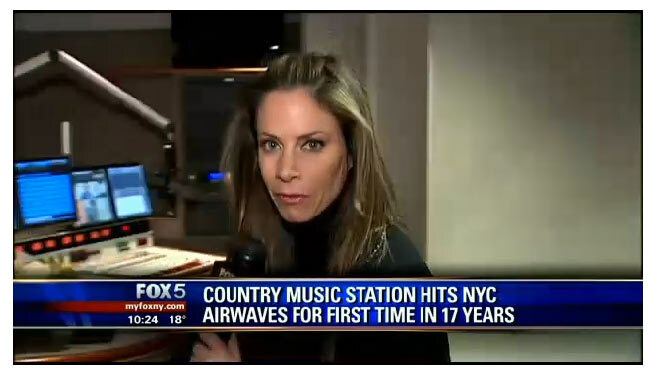 Silberberg reportedly paid Daphne Corcoran’s White Mountain Radio $325,000 for the station. Northern Berkshire Community Television Corp. received a construction permit today, Monday January 27th , for a new lpfm station located at 107.1. The station will serve North Berkshire County in Western Massachusetts when it signs on the air. The old format would show the number of comments each article had on the home page. Any chance this could be brought back? The championship of Major League Baseball is available only to proprietary franchises in North America, only one of which is NOT located in the United States. And they call the winner “World Champion”? I think not. Ownership logistics aside, they ought to put WCTC itself on the 92.7 translator. 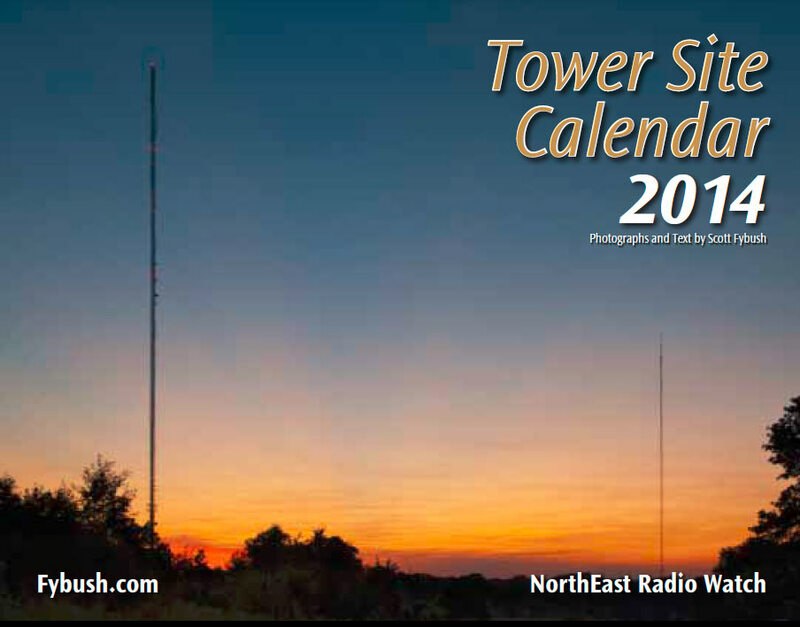 I listen regularly (5+ days a week) and there are many places within 10 miles of that puny tower that you can hear other stations under WCTC (and no it’s not ‘bleed’ from 98.3).